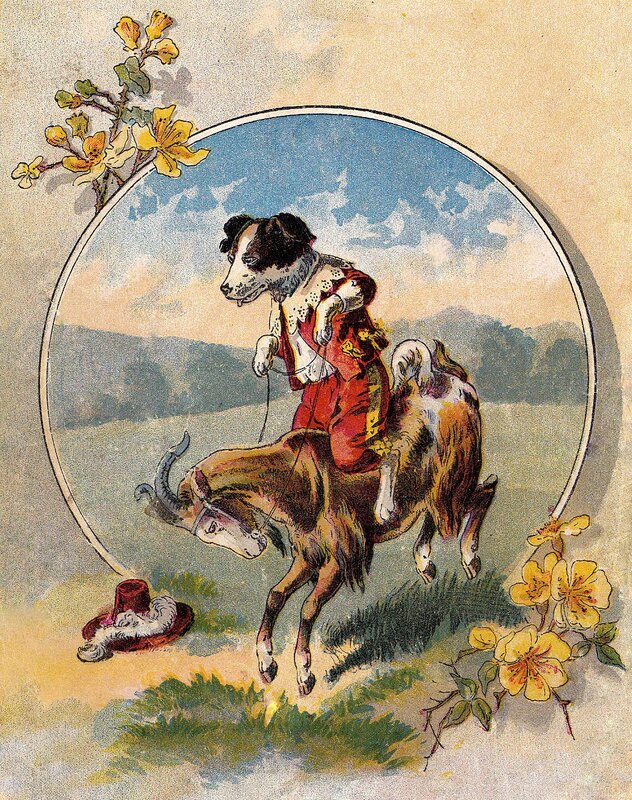 This is a very cute graphic from a Victorian Children’s Book!! 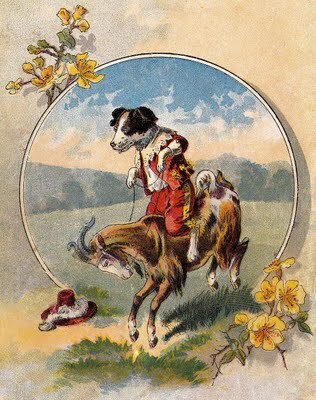 This one shows a cute little Dog all dressed up and riding a Goat. The Goat doesn’t seem to be too happy about it though! This one was submitted by Ann at Once Upon a Firefly. Thanks Ann! Old Fashioned Children at the Beach Illustration Cute Vintage Shopping Sign Image! Cute Vintage Cloud Fairies Image! This one had me laughing out loud. Thanks so much for the image and the laugh. That a very funny picture!